India’s Prime Minister Narendra Modi has come under fire from his political opponents for his failure to secure the release of an Indian Catholic priest kidnapped 10 months ago in Yemen by Islamic extremists. Now Modi’s Deputy Foreign Minister, M. J. Akbar, has said the priest went to Yemen “ignoring the central government’s orders not to go”, even though he’d lived and worked in the country for 14 years. A five-minute video message was published on 24 December on YouTube showing the priest, Fr. Tom Uzhunnalil, gasping for breath and appearing to read from a script. In it he said: “If I were a European priest, I would have been taken more seriously. I am from India. I am perhaps not considered as of much value.” He claimed his captors have sent many messages to Indian President Pranab Mukherjee and Prime Minister Modi to no avail, and criticised the Catholic Church for not having negotiated his release. Fr. 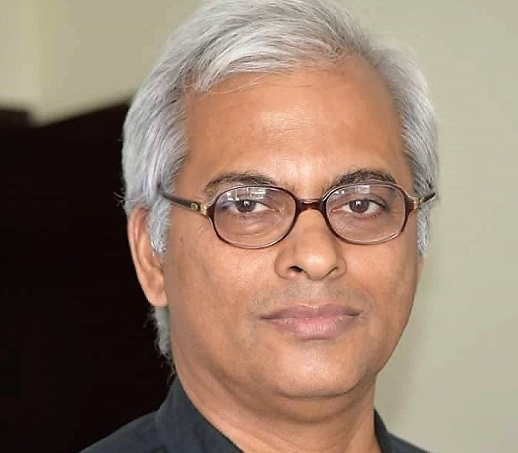 Uzhunnalil, from the Salesian Order, was abducted on 4 March 2016 from a home for the elderly in the port city of Aden run by the Missionaries of Charity. Sixteen people, including four nuns, were murdered in the attack. It is not known when the video was recorded or where he has been held. In the priest’s home state of Kerala, the ruling Communist party pledged that its members would send Modi 50,000 postcards demanding the Government secure his release. Meanwhile the opposition Congress party launched a petition on New Year’s Day, also calling for the Government to intervene. “They are planning to collect thousands of signatures to the memorandum that will be presented to the Indian President, Pranab Mukherjee,” V. A. Thomas, the priest’s cousin, told World Watch Monitor on 4 January. He added that civil society and political parties are organising rallies in the Keralan town of Ramapuram this week to put pressure on the government. He told World Watch Monitor today (9 Jan) that Fr. Tom had gone to Abu Dhabi, where he’d met his Bishop before he moved onto Yemen. “The government is trying defend itself while it is saying also that it is doing its best. The [Deputy Foreign] Minister’s statement is confusing to us,” Thomas added. In addition, the federal minister for minority affairs, Mukhtar Abbas Naqvi, visited Cardinal George Alencherry, head of the Syro-Malabar Church to which Fr. Uzhunnalil belongs, on 27 December and assured him that the Government was “doing everything possible”. However, the following day the Times of India published a story suggesting the priest was partly to blame for his kidnap because he returned to Yemen without government permission, and reported him “visiting” the area rather than pointing out that he had worked there for 14 years. Another of the priest’s cousins, O. S. Mathew, criticised the paper for publishing the story. V. V. Augustine, president of the Kerala Catholic Congress that is spearheading the campaign for Fr. Uzhunnalil’s release, described Singh’s reaction as “embarrassing to [the] heart.” Activist John Dayal, Secretary-General of the All India Christian Council, said he was “aghast” that the number two in Prime Minister Modi’s Government was unaware of an issue the Christian community “has been repeatedly putting before the Government”. Three weeks after his abduction, Fr. Uzhunnalil returned to the headlines when the Archbishop of Vienna, Cardinal Christoph Schönnborn, mistakenly repeated a claim that members of ISIS had crucified him on Good Friday. A spokesman later said he could not confirm the validity of the claim, which had been made on some Arabic news websites.